“They call the elections an accidental career. 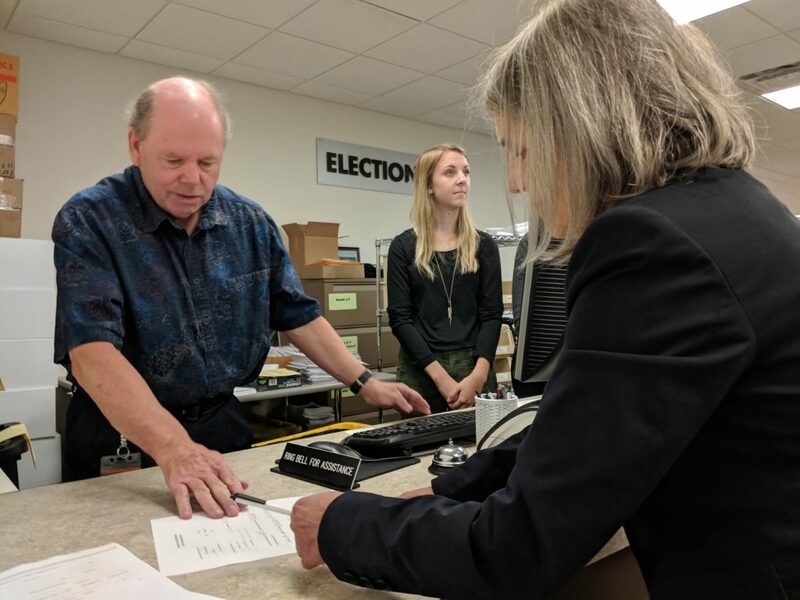 No one plans to be the elections director,” Patty O’Connor former Blue Earth County, Minnesota elections director recently told the Pioneer Press. And that’s certainly the case for Ramsey County, Minnesota Elections Director Joe Mansky who is set to end his 35-year career in the office. It’s not often that you get to talk to a legend, but we grabbed a bit of Mansky’s time before his official last day for one of our Exit Interviews. Why have you decided to retire at this time? Honestly, I prefer at this point in my life to spend more time outside than sitting in an office. What would you say you’re most proud of during your tenure in elections? Creating the legal and administrative environment in which voting systems are used in Minnesota. Decertifying our punch card systems – I believe we were the first state to do so. Legally prohibiting the use DREs and other systems lacking a paper ballot – I think we were the first to do that too (in 1985.) Developing and implementing the recount process we used 20 years later in the Coleman-Franken recount. Authoring Minnesota’s post-election audit law. If that’s my legacy, I’m ok with that. Is there anything that you wanted to accomplish in the field of elections that you weren’t able to? Just a few small things. When I wrote the uniform local government election bill in 1994, I was hoping to have the state-federal elections in the even-numbered years and all county-municipal-school district elections in November of the odd-numbered years. We and the voters would have been the better for it, but we couldn’t get the county elections switched to the odd years. I also was hoping to conduct the 1992 presidential primary as an all-mail election, but the legislature didn’t see things my way. You lived through some pretty big recounts. What did you learn from that that you could impart on others who may find themselves in the same situation? To my friends and colleagues in other states, my advice would be to ensure that in every recount you do, make sure the candidates and attorneys have the chance to visually inspect every ballot. In my experience using optical scan ballots, there are generally two ballots for every 10,000 ballots cast on which there are marks that cannot be read by the ballot counter but on which you can determine the voters’ intent and count the votes. That’s what made the difference in the Coleman-Franken recount, which at the time was the largest recount in American history. Frankly, if you’re not going to visually examine every ballot, why bother doing a recount at all? You took a bit of a nontraditional route to elections, but I understand you’ve been able to use your hydrology degree in developing election technology, can you tell us a bit about that? What advice would you give to someone just getting into the field today? This is a much more visible and controversial activity than was the case in 1984 when I got my start. Don’t be afraid of that, however. Become an expert in what you are doing. Work proactively with the voters in your community. Don’t sit back and let things happen to you – take the initiative and make things happen. I would like to see a system where you could get your ballot from an official website, mark it electronically, print the ballot somewhere and mail it back or deposit it in a ballot counter at a vote center anywhere in the state where you reside. We would use your smartphone or some other device as an authenticator, so we could verify who you are and where you reside. I think all the tools exist to make this work right now. What’s next for you, besides sleeping in on Election Day? Be the first to comment on "Joe Mansky’s electionlineWeekly Exit Interview"